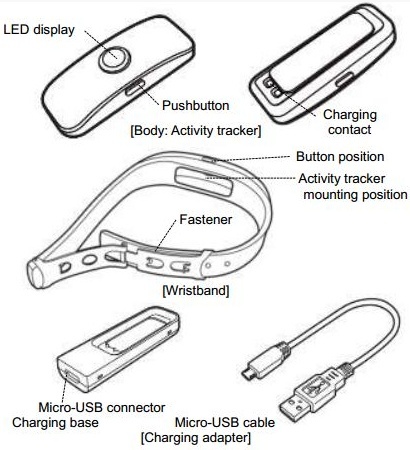 Toshiba launched the WERAM1100 activity tracker in Japan back in August and now the device has just been spotted at the FCC in advance of an imminent US launch. 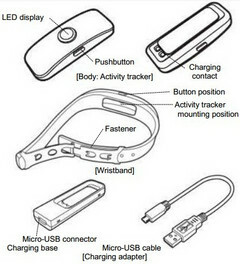 Toshiba launched an activity tracker in their home market back in August. Dubbed WERAM1100, this device is now close to a launch in the United States, as it has been spotted at the FCC website earlier this week. The Toshiba WERAM1100 charges through a micro USB cable and a dedicated charging base. It does not feature a screen as it only provides information via LED lights and vibrations. The user manual available on the FCC website concerns a device codenamed S1100AM00, but its features are the same as those of WERAM1100. We will get back to it as soon as an official announcement goes online. For now, its cost and availability in the US still have to be unveiled.